MANY CONVERT STORIES are to be found in cyberspace, giving testimony to how and why a growing number of persons are discovering Islam and committing themselves to its Guidance. Endless media headlines in the West feature “Islam” or “Muslim”–usually together with “terrorist” or “extremist” or “radical”–giving the sense of “bad” or “evil” to any casual reader. Still, discerning seekers are curious enough to dig below the surface hype so as to uncover the Islamic phenomenon which guides some 1.6 billion people today. Islam is an ethical system on a theological base. The Western seeker is to understand that one who becomes a Muslim –i.e., submits him/herself to the Source of his/her being– has thereby entered into a system of guidance so as to become a maximally “good” person. 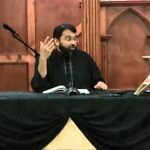 One can say that Islam is a system that gives its adherents a compelling motivation to behave in the best interest of himself and of his social group out of a desire to be in conformity with the expectation of his Maker, the Source of all life and the Author of truth and mercy in our universe. So then, what does it mean to be “good”? Who sets the parameters for what is “good” in various cultures and life situations? To respond to this question without sounding naive of the ways of opportunists throughout history –those preying upon the gullibility of simple folk for their own worldly aspirations and power control–the simple and satisfying answer is that the Source of existence is the only one who can claim to know what is “good” for His creation. That “Source” has written both the Laws of Nature and the moral law to which one must conform in order to “be happy” or to “succeed” in life. The Source has given life on this planet to a multiplying succession of human beings tied by parent-child relationships. Ethnic groups throughout history –and prehistory, according to Islamic sources–have been sent a human prophet from among themselves, calling them to a recognition of their Source and to an acceptance of the right intentions and behavior to honor and please their Source. Making “good” moral choices throughout one’s life builds a “clean” conscience and a healthy psyche. Genuinely following the teaching of a divinely sent prophet makes for a good person and a good society. When man opts to wrest his way free from submission to his Source of life and provision, he simultaneously severs his connection to his inmost self in the belief that he is self-sufficient and smart enough to see to his own needs. In the Western-dominated world, the best preserved and widely-available record of some of those prophets is found in the scriptures of Judaism-Christianity (the Bible) and those of Islam. The Islamic Book of revealed “readings” (i.e., the “Quran”/”Koran”) –as well as Islam’s volumes of meticulously collected reports of the 7th century Arabian prophet, Muhammad ﷺ, with his Companions– was received, recorded and transmitted in a manner well known and documented, thus inspiring confidence in those who look to them for authentic divine Guidance. Nay–whoever submits to Allah (aslama) his whole self and is a doer of good–he will get his reward with his Lord; on such shall be no fear, nor shall they grieve. [Sûrat Al-Baqarah, 2:112]. Note that the Arabic noun islâm is a functional term (verb: aslama) encompassing the totality of finding guidance with one’s Source of existence and choosing to conform to His model for a good/satisfying life in all his relationships and endeavors. When the followers of Muhammad ﷺ take their place among the “religious” traditions of the world, it is under the label of “Islam” –with a capital letter according to English spelling conventions. The Islamic term fiṭra refers to the pure and unsullied human nature with which one is born –before one “sins against himself,” to use Islamic phraseology, and is in need of returning himself to a clean state. Calling upon one’s Maker for forgiveness and seeking repentance in Prayer and supplication is the Islamic mechanism for returning to a renewed purification of the soul. On the positive side, this fiṭra includes an innate recognition that one has come from somewhere beyond his immediate everyday world; actually he comes from the hand of the Source to which he will return to give account. We know that each of us “inherits” genetic material from our earthly parents and that our bodies are formed from the humble materials of this earth, but where does his individual, personal animating force –his “soul” or “spirit”– come from? No one can claim to have created himself or brought himself into existence! On the negative side, according to Islamic sources, we are born “weak” and “hasty” in making our choices –to mention a couple of our less than self-sufficient qualities. This is far different, however, from having been born with the blot of Adam and Eve’s disobedience registered against our souls. Any wrongdoing registered against our selves has resulted from our own bad intentions and actions, measured in terms of our personal circumstances. This pronouncement of the Islamic Creed (shahâda–bearing witness) initiates one’s entry into the Community of those who cherish and adhere to the Book sent down to Muhammad ﷺ through Angel Gabriel. The person who submits (aslama) himself, putting himself into conformity with what his All-Knowing Source and Provider requires of him, is establishing a trust relationship with the One who created him. He is doing what Abraham repeatedly did, centuries ago, when he followed his Lord’s guidance, seemingly against all odds. The Qur’anic recounting of the stories of Abraham review for us how to trust God’s guidance. References to Abraham, as well as to Moses, abound throughout the Quran. After establishing in our minds the “oneness” (tawhid) of our Source, the Muslim is directed to establish a practice of [ritual] Prayer (salâh) at specified times throughout his day. This ritual is a framework within which it is intended that the muslim refresh his purification from wrongdoing and that he renew his consciousness of, and connection with, his Source. Prayer is a time of turning away from the cares and concerns of one’s daily routine and turning to Allah Almighty’s ongoing Presence, His provision, His readiness to hear supplication… It is within this ritual that the worshipper is actively channeled towards entering the presence of his Source–the Source who exists beyond our experience of time and space. To become muslim is to avail one’s self of the example of Muhammad ﷺ, of Jesus, Moses, Abraham and uncountable others who submitted to the guidance of the same Source, prostrating in the ultimate posture of submission before one’s sovereign Lord, with their foreheads touching the ground (See in the Bible: Abraham/Abram in Genesis 17:3, 17; Moses and Aaron in Numbers 16:22 and 20:6; Joshua in Joshua 5:14 and 7:6; Elijah in I Kings 18:42; Jesus in Matthew 26:39). While Islamic Prayer is a personal, individual [required] act, it is even more rewardable to join with others in this duty. The mutually-engaged body of those who submit –in congregation– to their Lord becomes a “mutual aid society,” bringing about internal harmony and ultimately social justice and peace in their larger context.